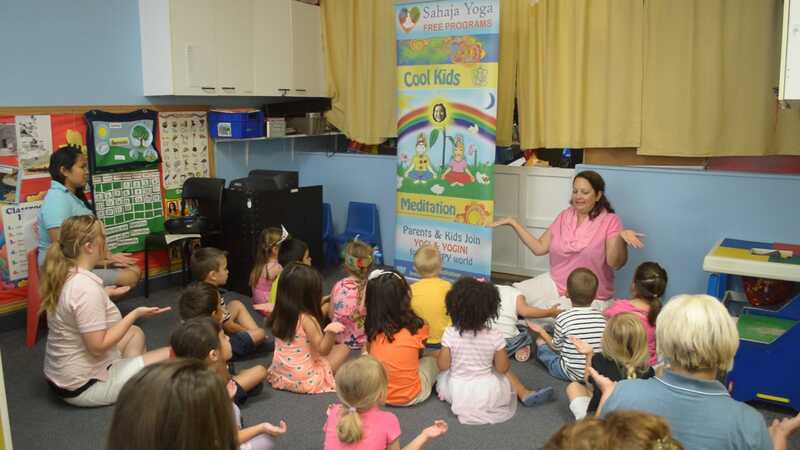 Photos Say 1000 Words: Children become Friends with the siblings Yogi and Yogini from Kundalini‘s Garden of Inner Peace and Joy. Do not miss the COOL KIDS VIDEO by the end of the article. 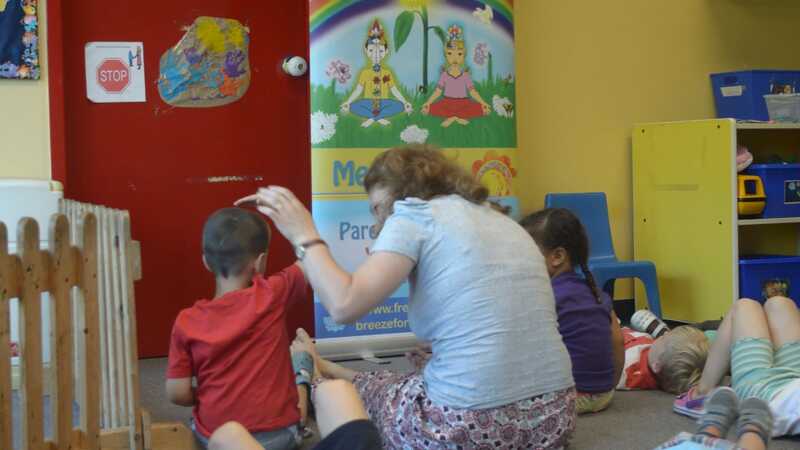 We had 2 great sessions and we enjoyed them immensely. 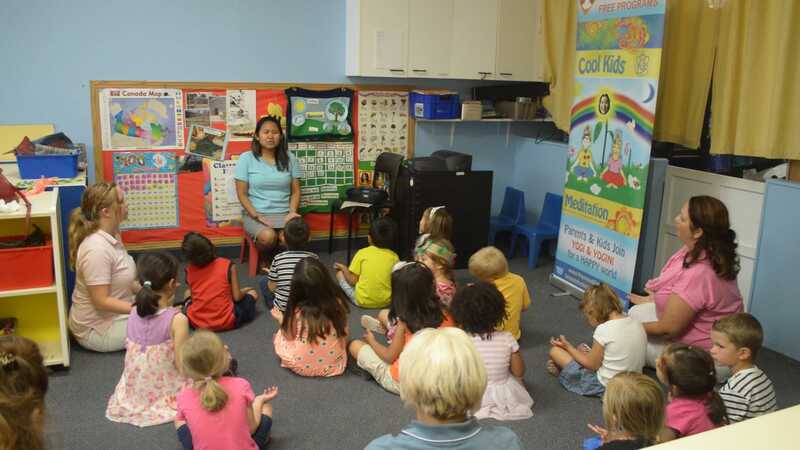 Our team comprised the following: Ana Bianca and Shulin from “Life De-Stress for Youth with Sahaja Yoga Meditation”, joined by Ioana and Paula from Halton Sahaja Yoga COOL KIDS team. 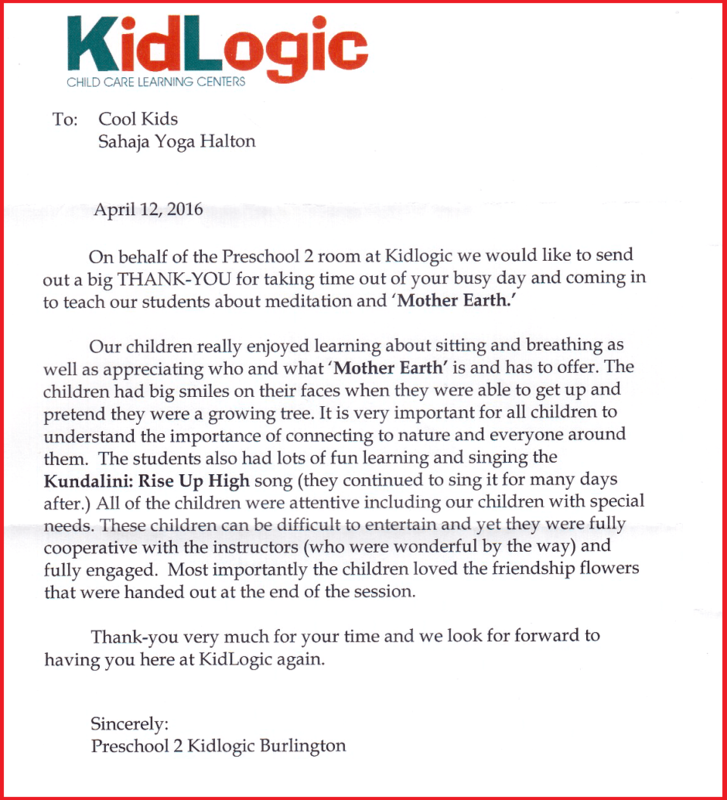 KidLogic ‘s COOL KIDS on EARTH DAY from Sahaja Yoga Halton on Vimeo. wow! 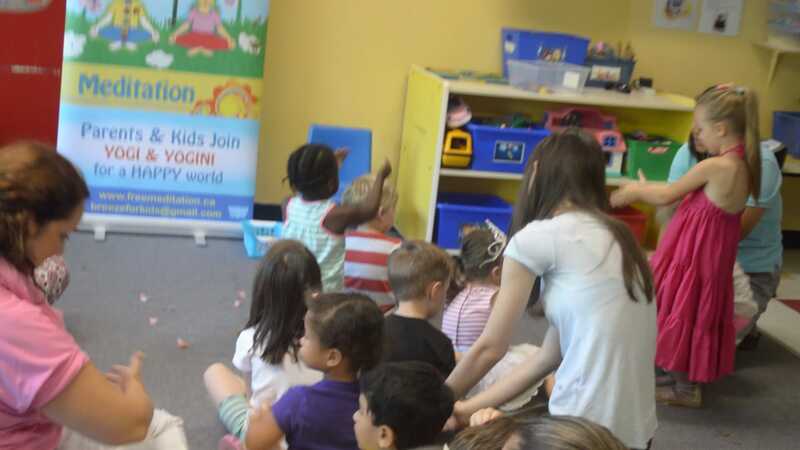 the children look so engaged. beautiful. 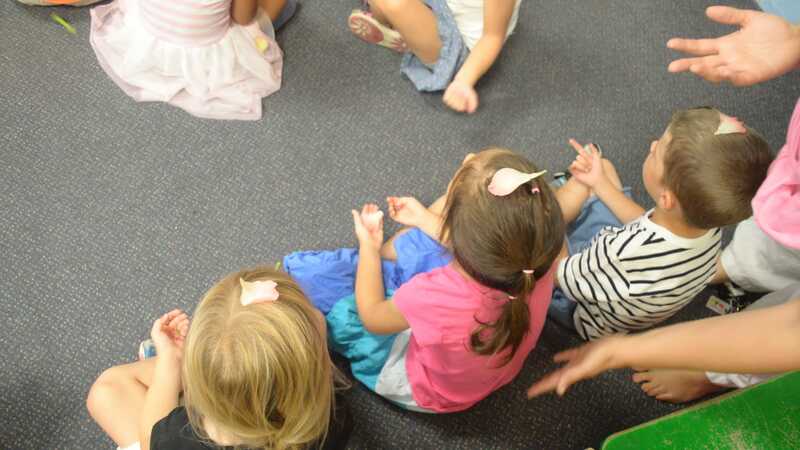 thanks to all the volunteers guiding children and teachers to discover their inner peace. God bless these angels. I wish I were a part of this ‘down to earth’ class! It looks like the kids had so much fun. And the meditation instructors as well. 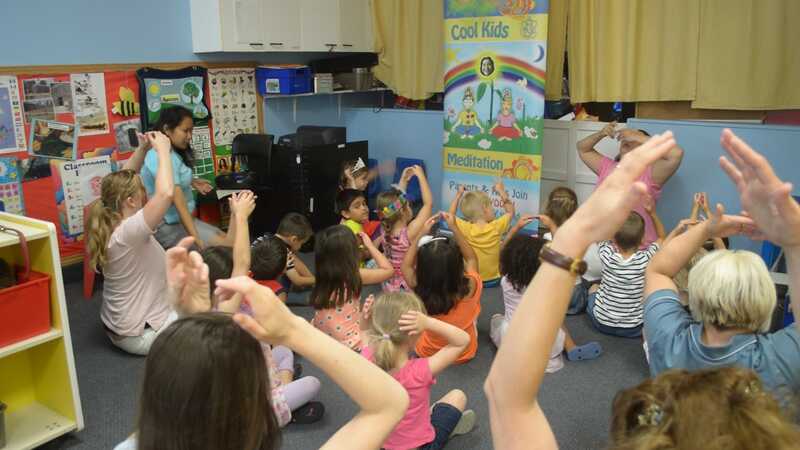 Very nice, looks like the kids enjoyed the meditation. Kudos to the volunteers!